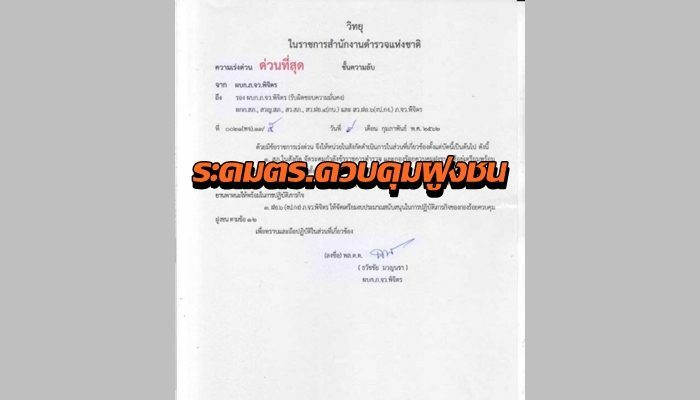 BREAKING—All top military leaders including army commander-in-chief Apirat Kongsompong were summoned to Munich for urgent talks with King Vajiralongkorn. The talks do not involve dictator Prayut Chan-ocha and the other junta leaders, who have retired from military duties. But all the top active duty generals went to Germany. It is not yet known what was discussed. Meanwhile, armoured vehicle movements in Bangkok have fuelled rumours of an impending coup. The military says the vehicles are being moved for a training exercise. U.S. Marine Corps part of Marine Wing Support Squadron 171, 1st Marine Aircraft Wing from MCAS Iwakuni, Japan work alongside their #Japan Ground Self Defense Force and #RoyalThai counterparts to construct a school building known as an ENCAP (#Engineering Civil Action Project) during Exercise Cobra Gold 2019 in #Thailand. Exercise Cobra Gold 19 emphasizes coordination on civic action, such as humanitarian assistance and disaster relief events, developing interoperability and unity of action in crisis contingencies. LAEM CHABANG, Thailand - The aircraft carrier USS John C. Stennis (CVN 74) arrived in Laem Chabang, Feb. 10, for a brief port call that highlights the strong community and military connections between Thailand and the United States. During the visit, the John C. Stennis crew will participate in a series of community service projects and sporting events while experiencing Thai culture. "Our Sailors are enthusiastic and appreciative for this opportunity to visit Thailand," said Rear Adm. Mike Wettlaufer, commander, Carrier Strike Group 3. "We look forward to enhancing our partnership with Thailand, experiencing local culture, exploring fantastic culinary options, and recharging with some well-deserved rest." John C. Stennis is conducting the routine port visit as part of the continuation of the relationship as treaty allies and furthering the friendship between the U.S. and Thailand. The U.S. and Thailand have a friendship that is more than 200 years old and have been treaty allies for more than 180 years. The U.S. and Thailand plan to work together to continue advancements for both countries, the region, and beyond. John C. Stennis is deployed to the U.S. 7th Fleet area of operations in support of security and stability in the Indo-Pacific region.